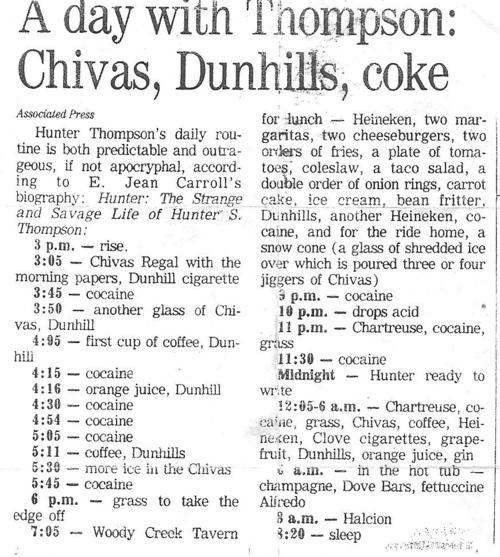 This entry was posted in Uncategorized and tagged alcohol, awesome, crazy, drugs, Hunter S. Thompson, Hunter Thompson, Writing. Bookmark the permalink. RIP HST. A great [hero] of mine. L.C.M.